Society for Anglo-Chinese Understanding (SACU). Information about China, language and culture. Exhibition of photos of old China, in Beijing. Review and more photos. Chinese Poems -Traditional & Simplified Chinese characters, pinyin and translation. The FAQs offer an introduction to Chinese poetry. Award-winning translator David Hinton – Includes Tang greats Li Po, Du Fu and Wang Wei. (Uses Wade-Giles romanisation). Characters and translations, plus information on translators of Chinese Poetry at the quirky Mountain Songs. Find out more about famous Chinese Song dynasty poetess Li Qingzhao. Sinolingua Abridged Chinese Classic series 100 Ancient Chinese Poems. Original Chinese, pinyin and translations I’ve found, mostly Tang Dynasty, plus a CD ROM. Could help with studying Mandarin. BBC Radio 3 programme on the music of the Yi and Hani ethnic minorities in Yunnan province. Historical figures ancient and recent, in Chinese Characters – from the female Emperor Wu Zetian to Bruce Lee. China: As History is my Witness – how history informs today’s China. 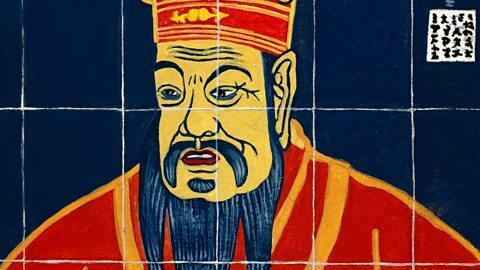 FutureLearn: Chinese History and Chinese books. Coursera: Chinese language and culture. Search MOOC list for other options. NOTE: CBPS is not responsible for the content of any of these sites.